The Kanata Aikikai is an Aikido Dojo located in the Kanata region. 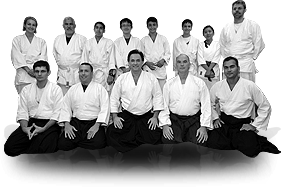 Founded in 1985 by David Yates Sensei, it was the first martial school estalished in the city of Kanata. The links in the bar above can be used to get around the site. The Classes section displays class hours, and the About Aikido section gives general information about Aikido. You can also take a virtual tour of the dojo! Note that this site is still being updated. David Yates Sensei can be reached by email and phone. We can also be reach through our Facebook page. Take a look at the Gallery page for a few photos from the dojo. Visit the CAF website to see upcoming seminars in your region.